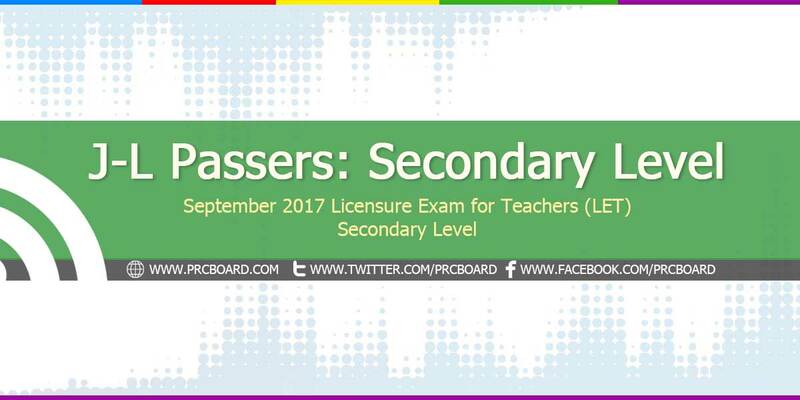 MANILA, Philippines - The official results, list of passers, top examinees, performance of schools and other important announcements for September 2017 Licensure Exam for Teachers (LET) both for elementary and secondary levels are released by the Professional Regulation Commission (PRC) 43 working days after the board exams. Below is the list of passers for September 2017 LET (Secondary Level) with surnames starting with letter J to L.
Anong oras po ipopost ang passers? Lord maraming salamat sa Biyaya mo po. Anong oras magpost ng result maam sir? Ayaw lumabas ng name ko sa verification of rating? pero passer naman po ako..what to do?